So your bathtub is looking a little worse for wear, and you’re tossing up between getting it fixed and buying a new one. There are a lot of factors to consider before doing so – the most important being your budget and how much time you can afford to be without a working bath. Whether you’re a homeowner, a hotel owner, or in charge of replacing worn out bathrooms in nursing homes, rental properties or hospitals, there are a few things that everyone needs to think about before committing to a plan of action. 1. What is bathtub relining? Before we start, it’s important to have a good grasp of what bathtub relining involves. It’s the process of repairing your tub by placing an acrylic, non-slip insert on top of your existing bath, to make it look brand new. If you want to find out more about the installation process, click here or watch the video below! 2. How much does it cost to reline your bathtub? Despite the fact that we all might want to redecorate without limitations, the reality is that most of us have a budget. It might be money you’ve put aside from your last pay check or an amount designated to you by the general manager of your company. Either way, you need to work within restraints. You can pick up some pretty cheap brand new bathtubs, however, many of these tend to be freestanding (and they tend to crack and deteriorate fairly quickly). This poses an issue if your existing bathtub is built into the wall or floor. You’d have to pay to get someone in to knock it out and completely redo the plumbing in your bathroom. Before you know it, you’re being led down a rabbit hole of enquiries, bills and unforeseen expenses. 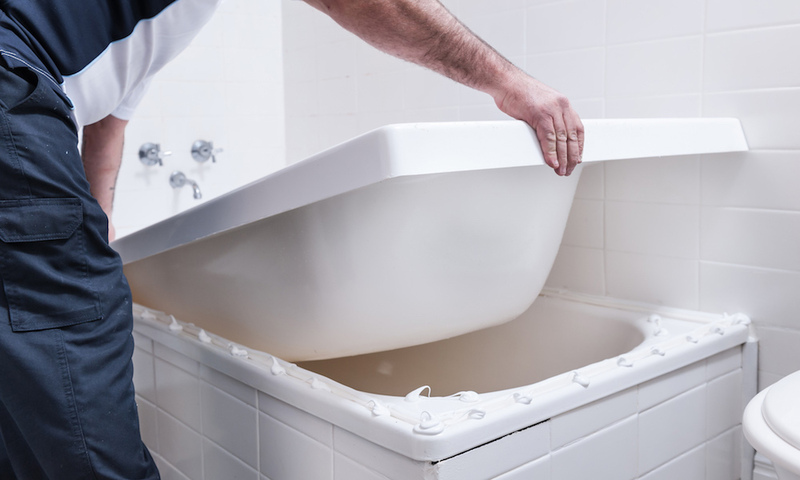 Relining in-built bathtubs is a quick, simple and relatively inexpensive service in contrast. You only need to get one person in to complete the entire installation, which means less money paid on workers’ wages and no need for expensive plumbing work! If you’re working in a busy hotel, you can’t be waiting weeks for new bathtubs to show up. Nobody wants to limit their profits by having empty rooms! Likewise, having a big family home with small children and no bath for an extended period can become stressful. If you order off the showroom floor (rather than out of a catalogue), it may take less time for the bath to arrive at your home or business BUT its installation is still reliant on plumbers’ busy schedules and how many pipe hiccups they run into. You could be facing a dusty, debris-filled bathroom for weeks! Relining your existing bath with a new insert takes just three hours, and it’ll be ready for you to run a relaxing bath within six! 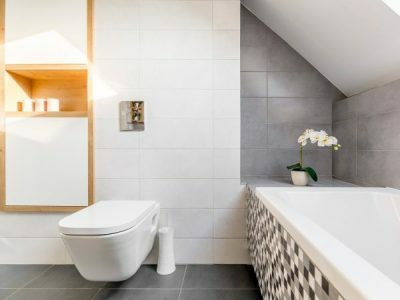 This high turnaround is a godsend for busy homes and hotels, meaning that you can get on with business quicker and have your bathroom looking good as new, too. Why replace something, when it can be fixed? So many things these days are built to be disposable. There’s no point wasting a perfectly good bath foundation because it’s simply worn out. Relining is a sensible solution to reducing waste while sprucing up your bathroom. 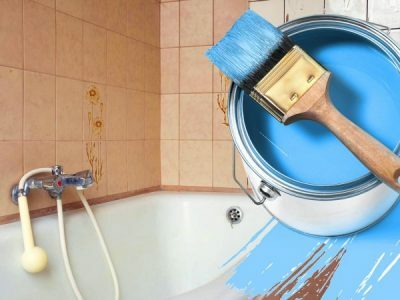 Not to mention, the process of inserting a liner is far better for your own health than that of installing a brand new bath, which may require removing whole walls and tiles by force. This creates airborne particles that can result in breathing issues. If you have an asthmatic in the family, this isn’t ideal. 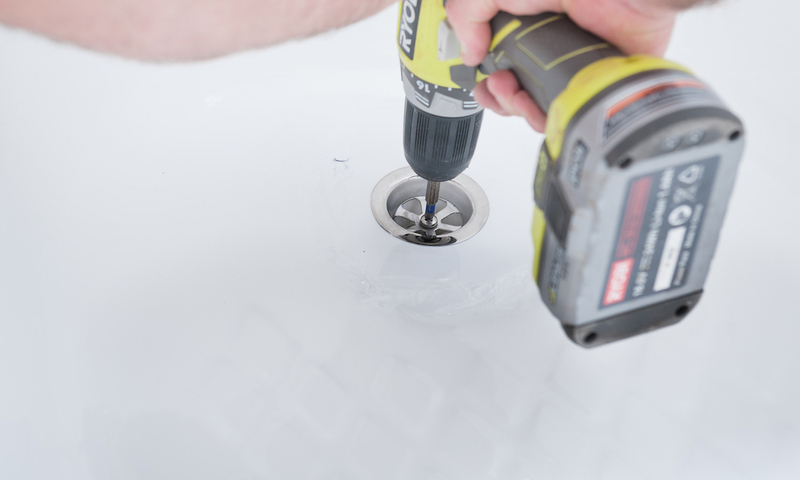 When relining your bathtub with a new acrylic insert, no harmful chemicals are used, and there’s no need to tear anything down. Often when buying a new bath, it can be difficult to find one that matches your bathroom’s existing decor. Furthermore, you may have paid a lot of money for your current bath because of its unique features, which will be impossible to match with a new tub. Relining is the best way to maintain your bathroom’s existing charm without sacrificing quality. Many hotels also need to stick to consistent design restraints, and relining is the perfect way to ensure every room is uniformly fresh and clean. When buying a new bath, in many cases warranty only covers the product itself, rather than the workmanship. How often do you see sealant peeling within weeks of installation? Or mildew build up from welling water caused by inefficient levelling? At Inner Bath, we offer 10 years of warranty on both product and workmanship, to ensure that you are 100% satisfied with your bath insert. Want to save time, money and stress? 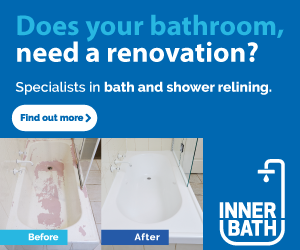 Book a free quote with Inner Bath today and have your bathtub looking brand new with our relining services!